Haven’t had a picture post in a while so here we are! I thought we needed an awesome-ness based picture post since I’ve been writing about little struggles lately. This is why I feel so responsible for Cello remaining awesome. When Alicia’s friend was out, she asked if I had been able to ride him, he was being so funny about being caught!! You have to step back for minute here and think: mustangs think different. Look at his little life so far! 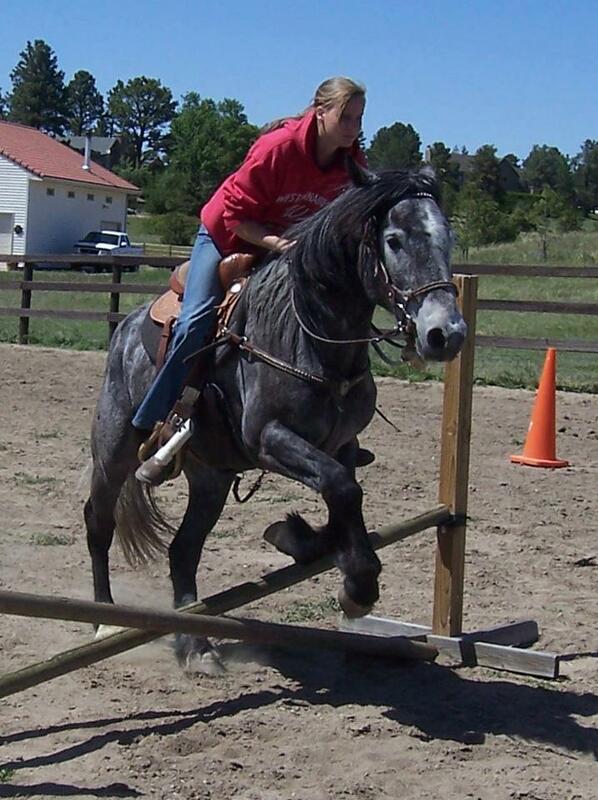 For four years or so he was a wild BLM pony. Then he was rounded up with helicopters (most likely) and herded into an enclosure where he was tranquilized and gelded. Not so great, rather traumatizing. 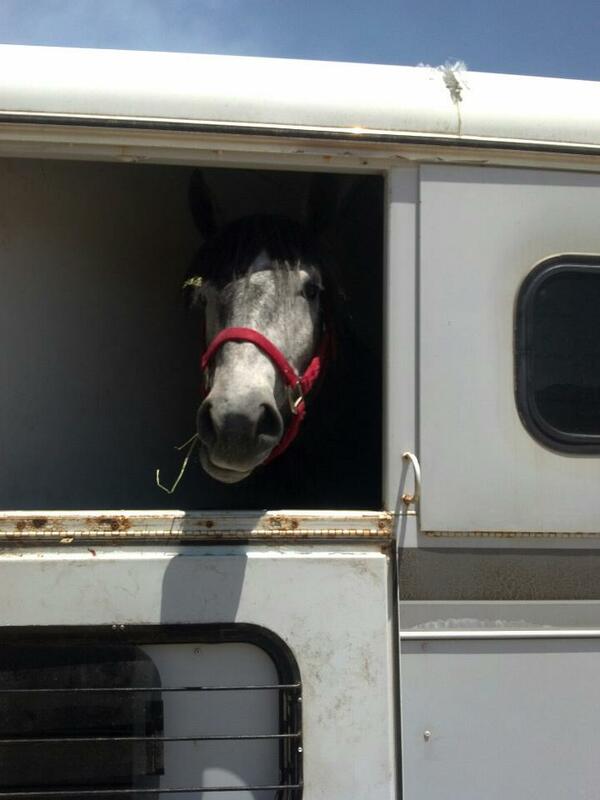 Then he was herded into a trailer and sent to Emilee for the makeover. Emilee was Cello’s first and only good experience with people. Alicia pointed this all out to me, even though I knew it I wasn’t applying it. 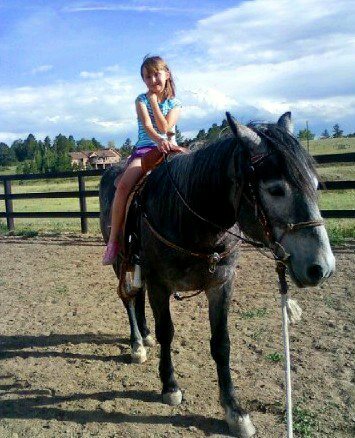 I was emotional (at one point I did think the words “my horse hates me” which so isn’t true.) Cello had a wonderful few months with Emilee, where she taught him trust and trained him, and then his world shifted again- he was taken to this huge horse show, and came home with me! Now that he’s relaxed we are working on building that relationship that he had with Emilee. 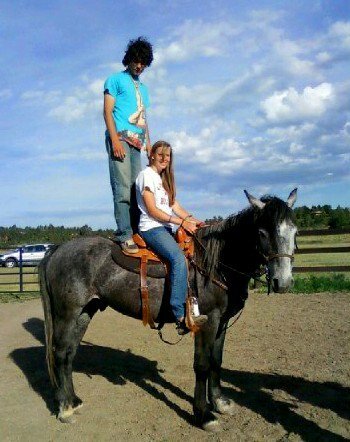 Once we get there, there is nothing this horse won’t do- just look at the photographic proof! I’ll leave you with one more shot of Cello hopping a stream while being ponied by Emilee on one of his first trail rides. P.S. This horse is showing me so much about myself, it is like going to intensive therapy. More about that later, but he is touching on my weak points with dealing with life! This beginning is amazing. 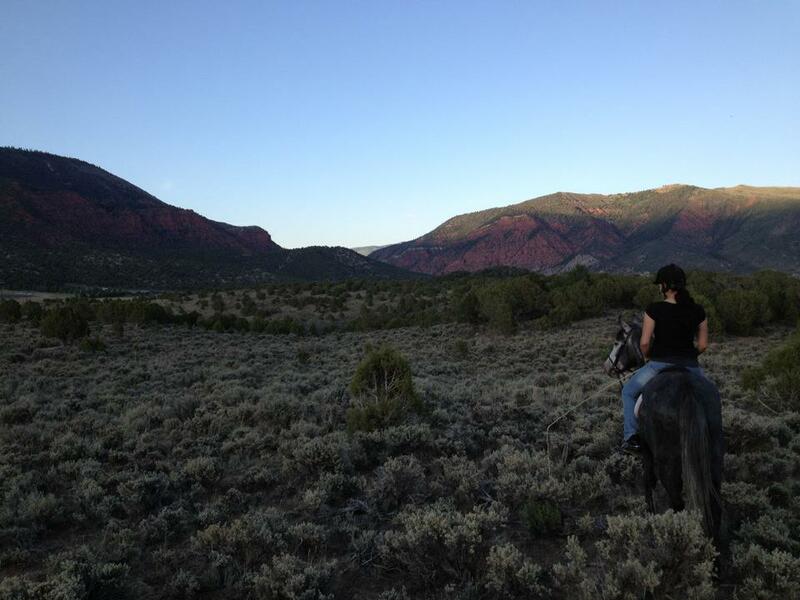 This entry was posted in Beginnings and tagged Blm mustang, Cello, Dani Neumann, Emilee Shearer, Extreme Mustang Makeover, Goodboy. Bookmark the permalink.